This year,the State of Israel is turning 70. For a country, younger than some baby boomers, it has certainly made every year of its newly found freedom count. The State of Israel strides toward becoming the epitome of agricultural and high-tech innovation. But the industrial landscape is not the only global picture in which the young state has firmly positioned itself. Perhaps the country’s most tangible sign of all-around progress is the fact that its citizens’ aspirations spread far beyond the capitalistic world and into the artistic one. Amidst all the political tension which has been hanging over the small state in the Middle East like a dust storm, art is becoming an oasis where beauty and humanity can flourish unharmed. Many Israeli artists have showcased their work during Art Miami and around the world. A world, still not short of hatred and wars in so many forms, where art in all its forms can help bring peace and friendship. In this spirit, PEACE 70 was born. In celebration of 70 years of independence, the Sagamore Hotel Miami Beach will be displaying the works of many Israeli artists. And as if this wasn’t an occasion historic enough on its own, the actual venue is “incidentally” celebrating its 70th year as well. The exhibit, entitled PEACE 70, will take place from March 8 – May 30, 2018 and will be open to the public. 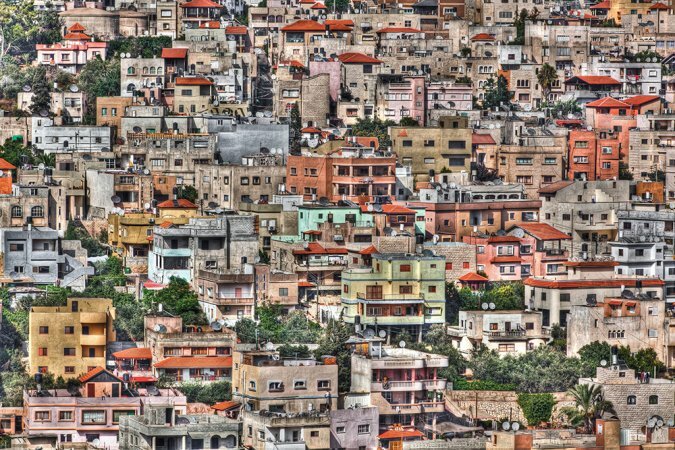 Umm el Fahem, an Arab Village Near Haifa, Photographed by Ammar Younis as part of the Passage to Israel international photography exhibition. A momentous occasion requires a momentous launch, and the private event on Thursday, March 8th is bound to set the kind of tone that will make Sagamore reverberate with the sound of positive change, while staying true to its #SagamoreIsArt mission. It will be hosted by the hotel’s principal Ronit Ben Josef-Neuman, along with the Mayor of Miami Beach, Dan Gelber and Consul General of Israel to Florida, Lior Haiat, in partnership with leading galleries and eminent private collectors. Throughout the exhibit, guests will have the chance to take in pieces by an array of both well-known and rising artists including Matan Ben Cnaan, Oren Eliav, Dorit Feldman, Ori Gal, Peter Halmagyi, Carmen IIal, Zammy Migdal, David Nipo, Natan Pernick, Hanoch Piven, Eran Reshef, Ella Amitay Sadovsky, Eran Shakine, Amit Shimoni, Shirley Shor, Yoel Tordjman, Sigal Tsabari, Lee Yanor, and Idan Zareski. An exceptional photo exhibit, entitled Passage to Israel, curated by Karen Lehrman Bloch, will capture Israel’s beauty in all its nuances as seen through the eyes of 20 photographers from all cultures. Furthermore, multi-award-winning artists will debut in Miami as part of the Dubi Shift Art Collection along with world-acclaimed Israeli hyper-realist painter Yigal Ozeri. Ozeri is scheduled to paint a portrait of Shimon Peres, one of Israel's longest-serving and most distinguished politicians, and donate it to the Peres Center for Peace as a beautiful symbolic display of everything the occasion stands for. And to top all this off, one of the leading galleries in Tel Aviv, Zemack Contemporary Art (ZCA) will deliver fresh perspectives of Israeli and international artists on contemporary art. 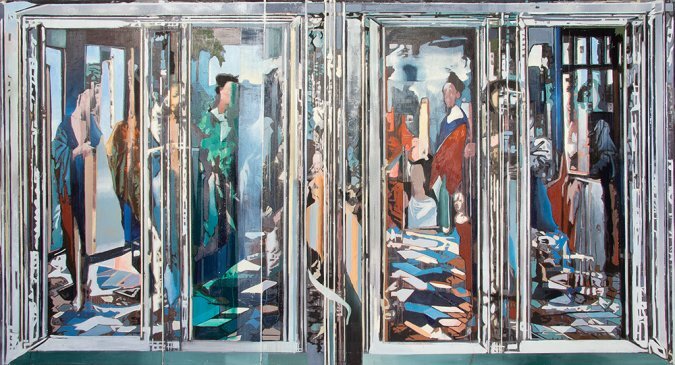 Oren Eliav's paintings deal with the mental and physiological relationship between viewer and painting. PEACE 70, co-curated by Sagamore’s Principal, Ronit Neuman and Resident Art Advisor, Sebastien Laboureau, will serve as the perfect platform for established and emerging artists’ creativity to unfurl under the patronage of industry and business leaders from both Miami and Israel. The exhibit will channel art’s unmatched power to transcend religions, cultures, and politics into reminding us that before anything else, we are all human, and we owe it to ourselves and our kind to live in peace and harmony.